These beautiful door stoppers will help you avoid any closed doors that might hurt the fingers of the baby, while trying to open it. It will also enable you to monitor the activities of your child in another room without disturbing her. These products are made from durable and non-toxic material that is soft to touch and can prevent sudden banging of the door as well. The stoppers come in a curved shape that can be attached and removed easily from doors of any thickness and type. The colorful, cartoon printed design gives the stoppers a cute look which is sure to be loved by your child and you too. 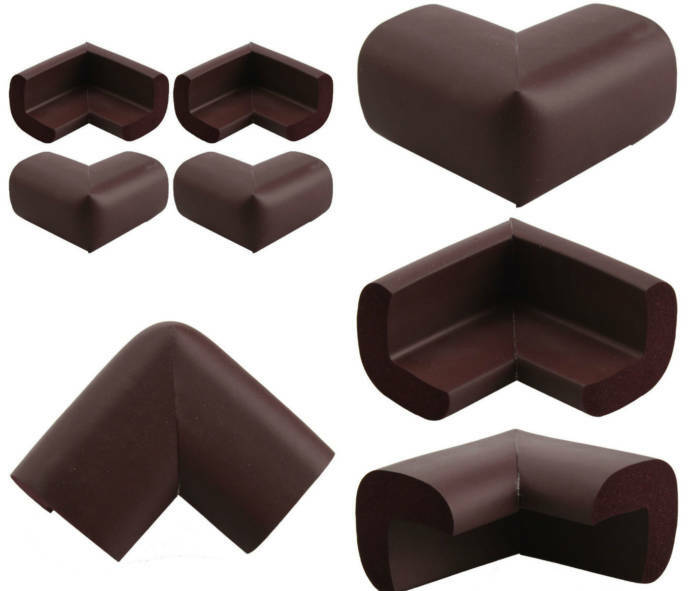 This set of four corner bump protector is a must for every home with a toddler. Every home has one or multiple tables and the corners of the tables are not really forgiving to your baby. So, when you have an active toddler at home do not miss to install these bump protectors on every table corner within the access of your child. These infant safety bump protectors are well cushioned and look absolutely sleek. While they offer full protection to your child from getting hurt, it also adds to the looks of the table. If you are worried about your child falling down from bed while she is asleep, this sturdy swing down bedrail can actually ensure the best safety. This product comes with all-steel made frame and offers a secure fit. 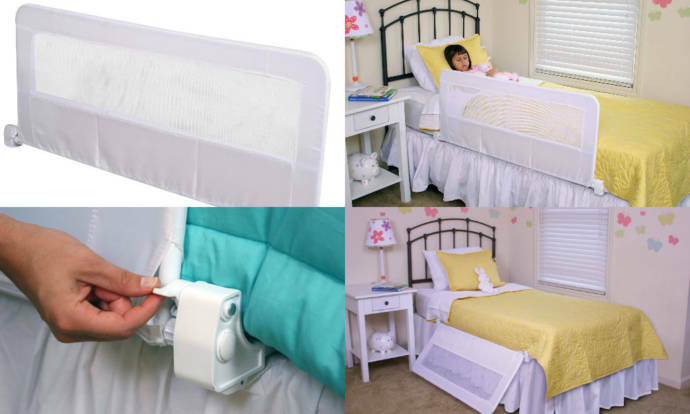 The Gap Guard system of this product ensures that the bedrail is right in place even if your child shifts fully on it while sleeping. Being 43 inches in length and 20 inches in height it provides great coverage and it is made from environment friendly elements that are completely non-toxic. The nylon mesh is highly durable and this product can give you service for years. This polyurethane made foam wedges can be ideal to ensure protection of your baby from falling down while she is asleep. It is a much safer and sleek alternative than the traditional bed rails in use. The non-slip surface of the rail keeps it fixed on the mattress and can also be helpful while transferring your sleeping child. The pack combines two wedges, with a dimension of 5 x 5 x 24 inches each. These wedges are designed for using together to offer more coverage. The foam is free from led, phthalate as well as free- retardants and hence is completely safe for your child. This pack of 8 child safety lock comes with a stretchable body attached with a plastic head and a tail. It comes with strong 3M adhesive backing which keeps the lock in place no matter how much your child pulls it out. The installation is simple and needs no tools as it uses the peel and paste technique. It is suggested that it should be left untouched for at least 12 hours after installation for the adhesive to bind properly. While installation care needs to be taken to ensure that there is no extra pressure on the adhesive due to installation. If you are looking for an attractive yet effective baby door lock, this item can be your first choice. This item is ideal to be used on appliances, cabinets, and drawers to ensure that the child cannot open them. It is easy to install and takes no time for the elders to remove the lock. This item is made from ABS resin and PP products to ensure the best environment friendliness. To get the best adhesive effect clean the mounted position before adhering the lock. 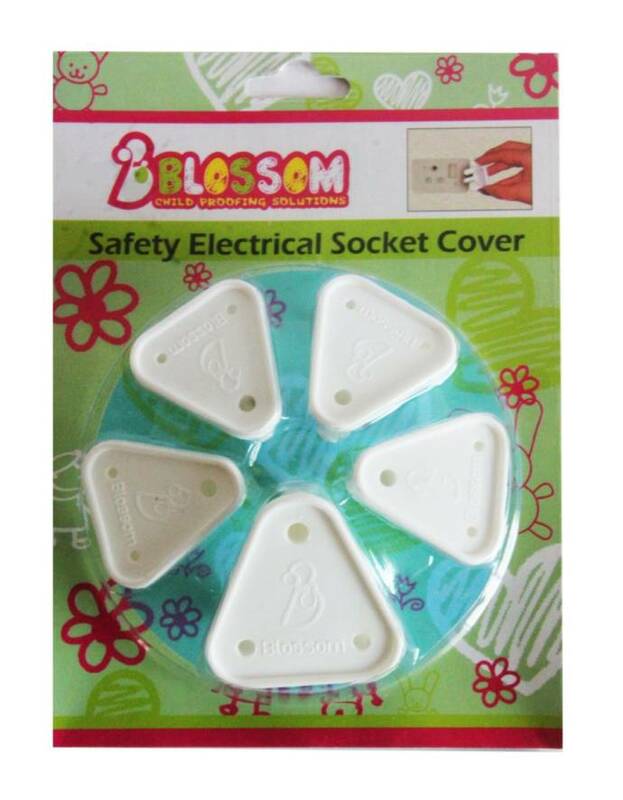 This set of 6 electrical socket covers can fit into a wide range of electrical sockets to keep them covered and your active child protected from any accident. These covers can be plugged into wall sockets, extension cords as well as on spike sockets. These socket covers has a nice look and they come with a key, which can be used for removing the cover easily from any socket. The covers are made for Indian standard plugs and come in an approximate size of 3.5 x 3.5 x 3cm. The covers are made from ABS plastic which offers great longevity. This wide design child safety strip is ideal for wrapping up the sides of the furniture in your home when you have an active toddler who can get hurt from those sharp edges. These strips are made from EVA foam which offers sufficient cushioning even in case of a bang. The length of the roll is 2 meters and it comes in a dimension of 200cm x 6cm x 0.4cm. The strip can be installed with ease and you can also remove it from your furniture without any marks left behind, when you feel like. It is an excellent value for money product and can actually meet your child proofing needs. These thick plastic corner covers will not only ensure the best protection of your child from the table corners but will also add to their looks. It comes with strong adhesive and can be ideal to be installed on wood, metal or even on glass. These corner covers are made from the best quality material that offers great longevity and is easy to install. The product is made from eco-friendly material and comes in a dimension that can easily fit into any corners. Get this set of corner covers today and make your home safer for your active child. You can easily cover all the sharp corners and edges of the furniture in your home with this child safety strip. This product is ideal when your child is playing around in the house and there is always the risk of getting hurt accidentally by knocking herself against the sharp ends of the furniture. The child safety strip is easy to install and being 35mm x 12mm x 2 meters in diameter it can cover sufficient area of furniture to offer complete protection. 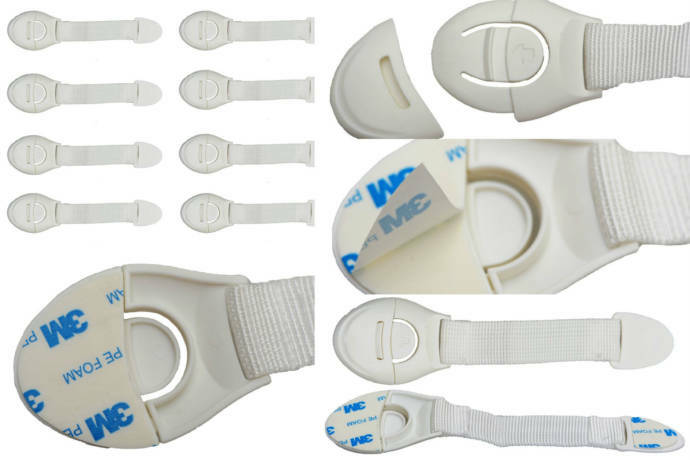 The safety strip is also provided with a role of double sided tape to make the installation process even simpler. Every parent with an active toddler needs to be highly cautious about the electrical points in home, particularly the ones that are within the range of the access of your toddler. 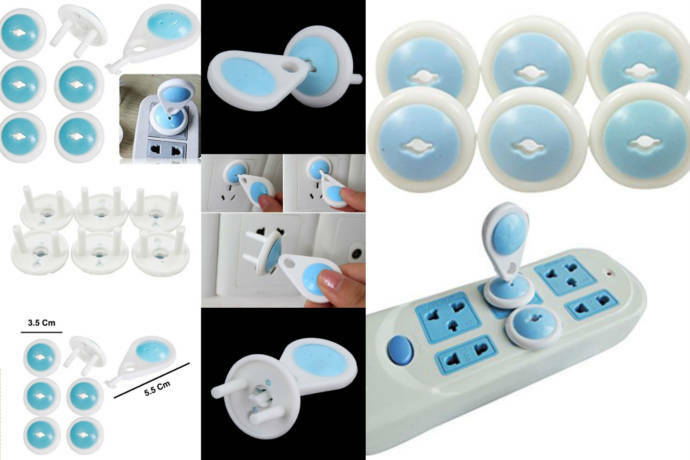 This child proofing set of electrical socket covers can actually give you the best peace of mind. It is designed to fit perfectly into the Indian plug points and includes two varieties of socket covers so that this single set can serve your all round needs. There are total 5 socket covers in the set, 4 of which are for small sockets of 5 amp and the other one is for bigger sockets of 15amp. These socket covers can be installed and removed very easily by the adults and can be most effective to prevent babies from putting their fingers in the socket or from putting any other object in the socket. Ensure the best safety of your child by keeping her from wandering into the unsafe areas with this 100% natural bamboo made, adjustable gate. The gate uses pressure-mounting technology to ensure that it cannot be shifted easily by the child. It can be extended from 28 inches to 42 inches, making it possible for you to cover any type of doors with ease. 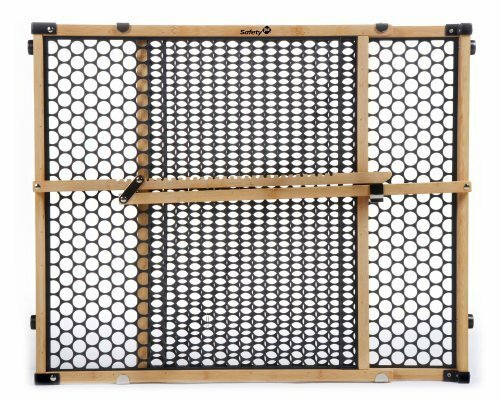 The plastic mesh within the bamboo frame is soft and will not hurt the fingers of your child. The product looks classy and can actually add to your home décor. When there is an active toddler in your home, you just cannot do without the door safety locks. These locks from Rceetles have a cute look and they effectively prevent babies from accessing cabinets, refrigerators and cupboards. These safety locks can be used on corner doors as well as on double doors and they are easy to install and remove for any elder person. The product is made from ABS and PE plastic and is fully non-toxic. The item also has a great look. This child safety lock comes with baby safety lock system which is easy to use by the adults but impossible to handle by the kids. If you think your toddler is quite intelligent particularly when it comes to accessing the drawers, cabinets or appliances, then this innovative child safety lock should be your first pick. The product can be used on any type of doors, starting from cabinets, fridge, dishwasher to toilet seat, waste bins, ovens and even normal doors. It ensures maximum safety and has an appalling look. This item comes with a life time warranty ensuring that you can baby proof your home for as long as you wish with the same product. 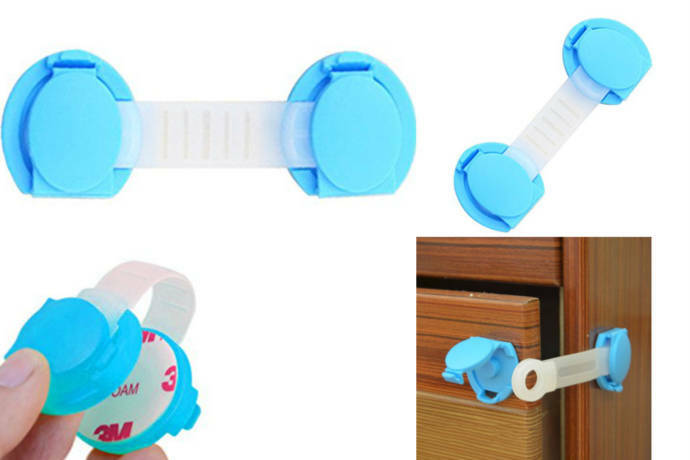 Restrict the access of your toddler to any drawer or cabinet with this adjustable safety latch. It can be used on glass as well as wooden, plastic or metal doors of cabinets, toilet, shoe racks and every other place. The product has a double sided button design which makes it really simple for the adults to use the product, while difficult for the child. The product has easy installation process and the strong adhesive caps offer long service. The adjustable size makes it ideal for installation in different spaces. These cute animal shaped colorful electric plug outlet protectors are a must have for every home with a child. The protector is simple to use and can be removed with ease by any adult, but not by the kids. It is made from non-toxic ABS plastic material and comes with tamper resistant edges that help to keep your child safe from any electric related hazards and also stops her from putting anything into the socket. This pack contains 4 plug protectors in different colors and comes in a size of 2.8 x 3.5cm each. They look just great and can offer years of service.